This Dodge Ball Court Arena Trampoline is built to a very high specification by Best American Trampolines in Texas. 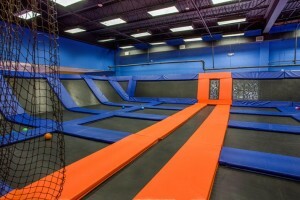 This will make a great addition to any FEC or trampoline park. Perfect for open jump and dodge ball. This arena is 60′ x 30′ and was installed July 2013 and is in Excellent condition. Enclosed on 3 sides by incline walls it can accommodate 20+ players and is suitable for all age groups. Included with this trampoline are 60′ walkway running full length of the open side of the trampoline, steps lead up to the walkway and all netting required to fully enclose the trampoline court. This arena has many different uses and would be a great addition to your facility. Be the only entertainment center to have such a unique attraction that no-one else has. To learn more contact Pursuit Zone at 877-484-9621 or follow this link – Dodgeball Trampoline Arena for sale. We recently received another Dodge Ball Court Arena in for sale. 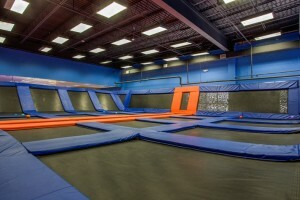 If you are looking for a dodge ball trampoline arena click on the links above and it will take you there.